The article addresses the issues related to the formation of estimates, as qualificatives modus category. The estimated value is regarded as the field, where the estimated predicate occupies the nuclear area, and the sentences with unbiased predicate are shifted to the periphery, but the estimate formed in them is created taking into account the basis of communicative segmentation, or by the other verbal means. Keywords: classification; evaluation; qualifications; modality; subject; predicate; mode of communication. The article, based on the material of Nikolai Gogol’s “The Overcoat”, explores Russian particles from the perspective of their role in the realization of subjective modality meanings. The article focuses on some ways of conveying these meanings in the English translation of the tale. High model potential of Russian particles is revealed by the means of functional-semantic analysis. The article also examines different variants used by translators to transfer the meanings of Russian particles. In most cases these meanings in the English text are expressed by other parts of speech, which is connected with the peculiarities of the structural-semantic system of the English language. Keywords: subjective modality; particles; correspondence; equivalent. The article examines the syntactic (register-based) composition of a guidebook text, and demonstrates the usage patterns and combinations in this genre of communicative registers: three monological (reproductive, informative, generative) and one dialogic (volitive, in the absence of the reactive). The guidebooks to China for Russian tourists are used as examples, but the polyregisterity of the text and the basic principles of syntactic composition revealed, are common for the genre of a guidebook as a whole. They are determined by the communicative features of the text, especially the ones of the communicative framework, i.e. the relationships of the sender and the addressee; by the intention of the author and by the specifics of the denotatum (described object). Keywords: communicative and functional grammar; text analysis; guidebook; communicative register; syntactic composition. The article explores neologisms invented by N. Ya. Bichurin during the preparation of his monograph “China: Its People, Customs, Folkways, and Education” (1840), with special attention to the words derived from Church Slavonic models. The common ways of word formation are prefixal, suffixal, stem-composition. Keywords: neologisms; Nikita Ya. Bichurin; сreative language use. The authors argue that relevance of the study of so-called fashionable words (buzzwords) is due to their semantic plasticity, breadth of axiological range, variety of pragmatic characteristics, the need for prognostic and typological research of these words. The article reveals the discursive characteristics of fashionable words in the course of functional-semantic analysis of various types’ reflexives. The study, conducted mainly on network materials, shows the possibilities of RuNet as a space for monitoring and discourse analysis of fashionable words. Keywords: fashionable word; semantics; pragmatics; reflexive; discourse analysis. The authors explore the process of penetration of information technology sphere terms to the political discourse in the context of global and universal informatization of society, affecting both language and language consciousness, and demonstrate the regularities and mechanisms of their functioning due to the peculiarities of changes in the semantic structure of lexical units. Keywords: sublanguage of information technologies; terms; political discourse; Russian hackers. The article is devoted to the comprehensive study of techniques, strategies, and tricks, which should be followed by the participants of any dispute or polemic dialogue. The author focuses on the features of permissive and impermissible tricks, and analyzes typical applications of these logical and psychological techniques in the process of dispute resolution and intentional manipulation of the interlocutor on the material of TV talk shows. On the basis of this research the author proposes to allocate correct methods of conducting argument in order to win, not only by discrediting the opponent, but also by convincing the audience by using all professional rules of dispute management. Keywords: dispute; trick; argument; reason; talk show; opponent. 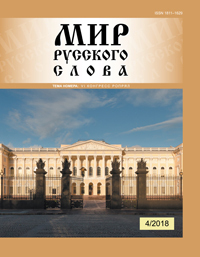 The authors conduct a contrastive analysis of the Russian newspaper advertising discourse against the background of its Chinese counterpart, and identify in each of them a set of tactics that ensure the implementation of the author’s strategy of contact with the addressee, consider the peculiarities of their verbalization, identify and comment on the linguistic and cultural features of their speech embodiment. Keywords: Russian and Chinese advertising discourse; speech strategies and tactics; verbalization of contact between the author and the addressee; contrastive analysis. The article is devoted to the research of the linguistic consciousness of the Russian native speakers on the material of compatibility of the adjectives derived from toponyms. The data received by the author allows her to reveal the most significant units of Russian linguistic consciousness, and to consider the ways of storage and functioning of these units in the consciousness. Keywords: adjectives derived from toponyms; compatibility; linguistic consciousness; scale of compositional semantics. The article presents the results of a psycholinguistic experiment conducted with native Russian speakers with the intention to describe the sensual image of the concept Vietnam. As a result of the quantitative processing of the obtained reactions, it was revealed that the core of the image is based on the idea of Vietnam as a mysterious, unfamiliar and exotic country. In the perceptual image of Vietnam the leading features are those that characterize the country’s territory, its location, climatic conditions, culture and society. Keywords: concept; Vietnam; perceptual image; associative experiment; linguistic mentality. The article discusses some problems of the transformation of classical topos model in the period of Modern (Post-Rhetorical) Russian culture. The author analyzes structural peculiarities and heuristic potential of topoi, and, as a result, proposes a conception of subject-oriented topos model, which is relevant for the Russian Post-Rhetorical culture. Keywords: topos; modernity; subjectivity; Konstantin Batyushkov. The author discusses one of the most interesting phenomena of modern art process: which is the literature in Russian, its geocultural positioning of the segments and loci; its complicated and contradictory dialogue with the traditions of the classics. The author gives a short analysis and evaluation of Russian-speaking literature in Russia of the 21st century, as the most important sign of cross-cultural communication and a basis for Russian identity formation. Keywords: literature in Russian; literary canon; Russian-speaking literature. The article poses a question of the perspectives of systematic analysis for studying the forms of foreign cultures’ reception by Russian émigré writers. By exploring the autobiographical myth of Larissa N. Andersen (1911–2012), the authors demonstrate, that the key role in its formation was played by the actualization of the connections between Andersen’s poetry and the cultural traditions of Russia, East and West. Keywords: history of Russian poetry; Russian émigré poetry; poetics; methodology of literary studies. The article elicits bottlenecks arising while selecting lexico-semantic variants of the prepositions to be included into B1 level (common language) teaching content alongside with some moot points of prepositional presentation in such an important standard methodical document of this level, as the Requirements. Keywords: preposition; lexico-semantic variant; Russian as a foreign language tests (level B1); common language; Requirements. The article deals with the system of work and modernization of traditional types of lexical and grammatical exercises in the process of teaching Russian verb grammar on the basis of artistic (educational-authentic) text in a foreign audience at the A1–A2 level. Keywords: literary text; authentic text; Russian verb grammar; speech and non-speech exercises; modernizing lexicogrammatical exercises. The article presents tasks of listening that provide the process of perception, understanding and subsequent processing of text information transmitted orally or in writing. The author proves the possibility of using such tasks not only in the classroom in Russian as a foreign language, but also in the classroom in special disciplines. Keywords: text; listening; tasks of listening. The author argues that the number of exhibition projects in Russian museums is increasing with each passing year. Their coverage in media and the quest for mutual understanding between art critics and journalists are currently widely discussed in the museum community. 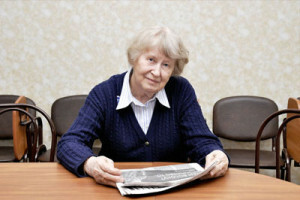 The article is based on the personal experience of the author being the Head of the Press Department of the State Russian Museum in St. Petersburg. The analysis of the collected material allows her to fix some new trends, relating to the productive dialogue of the media community and the art museum. Keywords: art museum; participatory culture; aesthetic values; press release; media; narrative.